Our wonderful w&w publicist Taheerah is heading up a tremendous day for us all this WCMD! 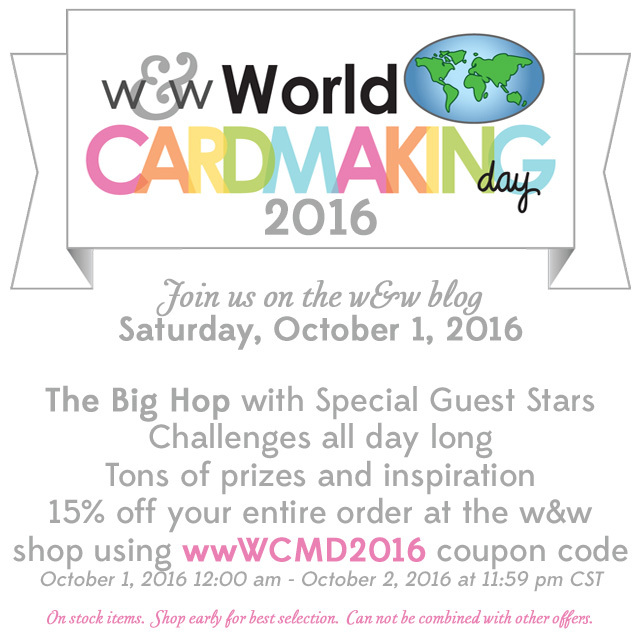 Be here at the w&w blog this coming Saturday, October 1st for all the fun. Yippee, its always so much fun!!! Can't wait... any excuse for a couple of days of creating.